Our public lands provide some of the most remarkable miles of horseback trails and open space in the country. The U.S. Fish & Wildlife Service is one of the federal agencies that manage these sensitive lands. Other agencies include the U.S. Forest Service, Bureau of Land Management, the Army Corps of Engineers and others. States have many similar agencies that also manage publicly accessible lands. The purpose and responsibilities of these agencies may sometimes conflict with recreational use, and may necessitate removal of certain trail systems from use. Riders often don’t know why this happens or where to turn when it does. US Fish & Wildlife’s function is to work with others to “conserve, protect and enhance fish, wildlife, and plants and their habitats for the continuing benefit of the American people.” While helping people to conserve and enjoy the outdoors, they must also provide protection of the species and their ecosystems. Their extensive responsibilities can be seen on their website at http://www.fws.gov/info/function.html. Conflict and misunderstanding on each side occurs due to lack of communication and information. Fish & Wildlife managers don’t know what horseback riders need because riders don’t give make their needs known. The horse community doesn’t know the agency’s purpose, function and reason for doing certain things. It’s up to equestrians to help public land managers understand both the impacts and the advantages of horse and rider as trail and open land users. ELCR Board President Ken Haddad, retired Executive Director of the Florida Fish and Wildlife Conservation Commission, reminds us how important it is for equestrians to participate in agency planning processes. In eight years of managing over 5 million acres of conservation lands, not one horse person stepped up or came to meetings to advocate for equine access. Ken found that he was the singular advocate for horse interests. The Service performs many functions, including management of wildlife refuges, determination of sensitive lands and critical habitats (home to threatened and endangered species) and assessing damage to habitat by human activities and natural phenomena. Fish & Wildlife periodically carries out habitat assessments. An Environmental Impact Statement and a Comprehensive Conservation Plan will be formulated. In addition, Determination of Compatibility studies are done for recreational and other activities on sensitive lands and Reserves. It’s critical for equestrians to be aware of when assessments and planning are being carried out, and to become involved in the public input process. Once an activity is deemed (or thought) to be responsible for damage to sensitive land, action will be taken to remove the cause and fix the problem (restoration). Facts: There is little evidence to show that manure or urine from horses being ridden on trails contributes in any substantial way to pollution of surface or ground water. Facts: Several scientific studies have been carried out related to horses carrying invasive species seed, and the data and conclusions are mixed. Studies done by Gene Wood, PhD of Clemson University indicated that horses are not a major vector for invasive seeds. Facts: True. 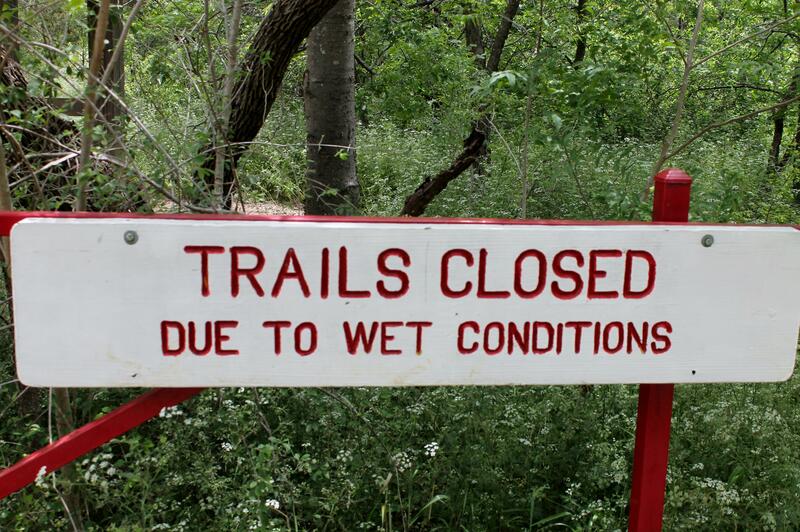 Poor trail construction, wet conditions, riding off-trail and lack of maintenance make this problem much worse. Facts: True. 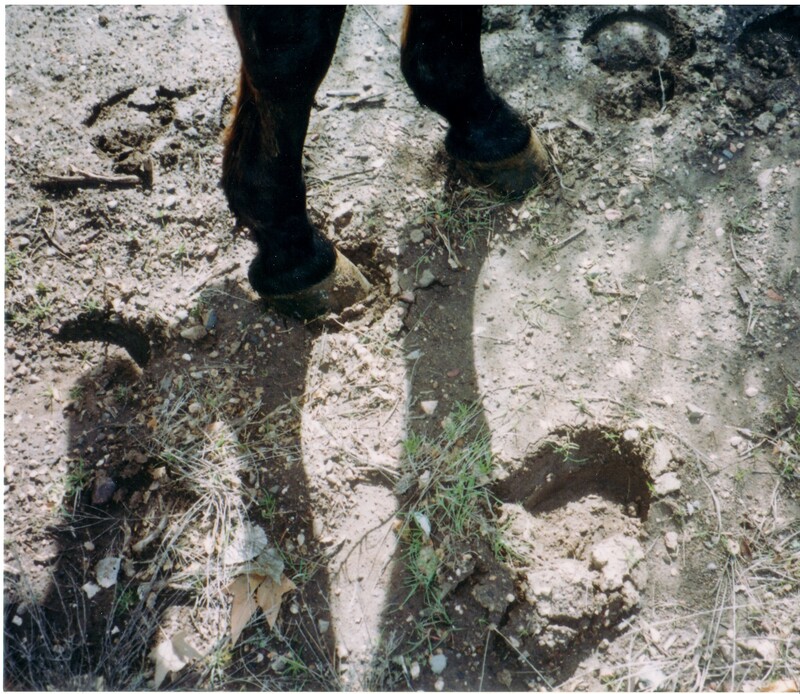 Horse hooves loosen absorptive surface soil, destroy vegetation and compact subsoils. As topsoil and plant cover is lost, water can’t infiltrate into the soil locally, and runs off. Good trail design and maintenance is needed. Facts: They do, and it does cause greater erosion and plant loss. Facts: Studies show that horses, and the riders on them, are less a disturbance to wildlife than any other type of user, including hikers. The Potential for Horses to Disperse Alien Plants Along Recreational Trails. Rangeland Ecology & Management, by Wells, FH and Lauenroth, WK. 2007. Widner, Carolyn and Jeffery L. Marion. Horse Impacts: Research Findings and Their Implications. Master Network, A publication of the National Outdoor Leadership School, part 1-1993: No. 5 (pp.5, 14); part 2-1994: No. 6 (pp.5-6). Ecological Impacts of Recreational Use of Trails A Literature Review, by Marilyn Jordan Ph.D. (mjordan@tnc.org). The Nature Conservancy. Learn the Facts. Be ready to provide positive and fact-based information to Service land managers and other users. Understand the responsibility that Fish & Wildlife has in protecting habitat. Form or join a riding club or equine organization and present your case with the backing of like-minded numbers. Contact and get to know your public land managers. Learn about their monitoring and assessment activities. Designate a person or group from your organization or club to track Fish & Wildlife monitoring, assessment and planning activities in your area. Participate in public comment and planning activities. Show the public land management agency consideration by volunteering your time to help maintain the trails you ride and enjoy. Use Leave No Trace and Tread Lightly tenets as a basis for horse trail and open space riding. Use weed-free feed and follow other requirements posted by the managing agencies. Use good trail behavior – stay on trails, carry out what you carry in, keep noise down, etc. U.S. Forest Service: http://www.fs.fed.us/organization/506 (the list of regional offices with contact information). Army Corps of Engineers: http://www.usace.army.mil/Contact/OfficeLocator.aspx (very convenient map office locator with address and phone number popup). National Parks Service: http://www.nps.gov/aboutus/contactinformation.htm . County or township parks departments – Go to your community government website and find your department of parks, parks and recreation, or planning. Forest preserve districts: These are county level governmental organizations that focus on land preservation and protection, recreation and the environment. Found extensively in Illinois, they can also be found in other states. Go to ‘Forest Preserve District of (Your) County’. State Parks Departments: Your state’s parks management division may be called ‘Department of Parks and Recreation’, ‘Division of Parks’ or similar. Look on their website for parks management, or call the general number.